Avocados are in season right now and seem to be overflowing in the produce bins at my grocery store. I didn’t start eating avocados until I was an adult, not because I didn’t like them, but because I didn’t even want to try them. It seems that avocados are either loved or hated by most but there is nothing but love for them in my home. 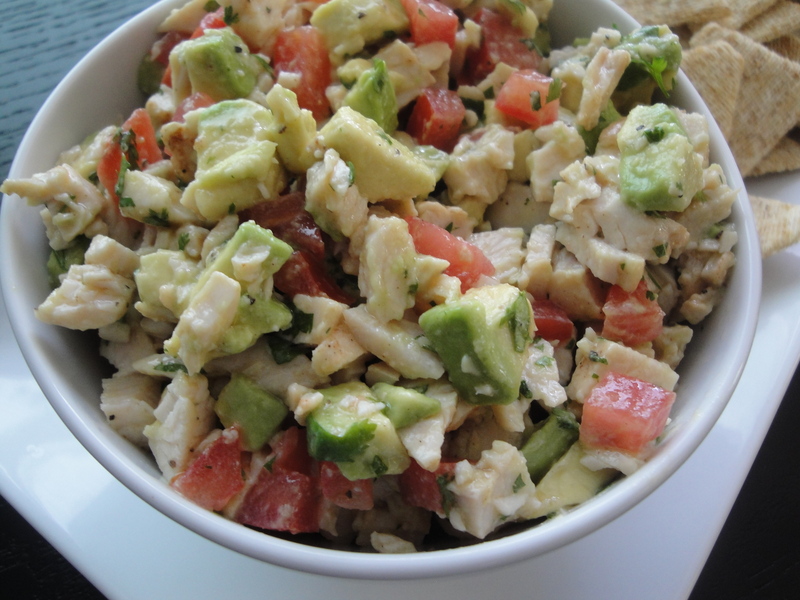 This recipe for Avocado Chicken Salad appealed to me not just because of the fresh avocados but because I also love chicken salad. But this chicken salad is different than most others I have had because there is not one lick of mayonaisse in this dish. 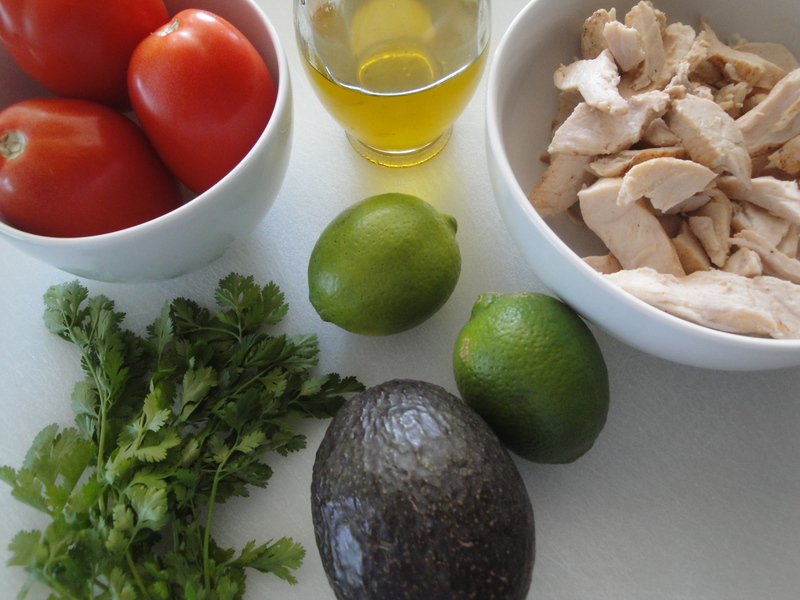 Cooked chicken, avocado, plum tomato (or salsa), and cilantro are tossed in a light vinaigrette of lime juice, olive oil, salt and pepper. I used precooked chicken strips to save time and replaced the salsa in the recipe with a fresh plum tomato. The avocados provide a rich creaminess and the fresh lime juice brings such a brightness that makes it difficult to stop going back for more. I ate mine with whole-grain crackers but dig into this with any of your favorite chips or over lettuce. 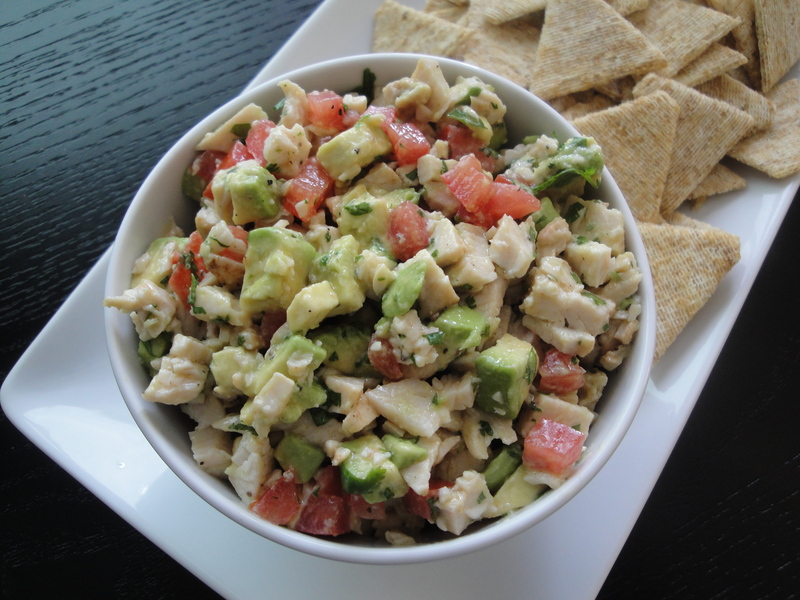 If you like avocados, this chicken salad is ridiculously good. 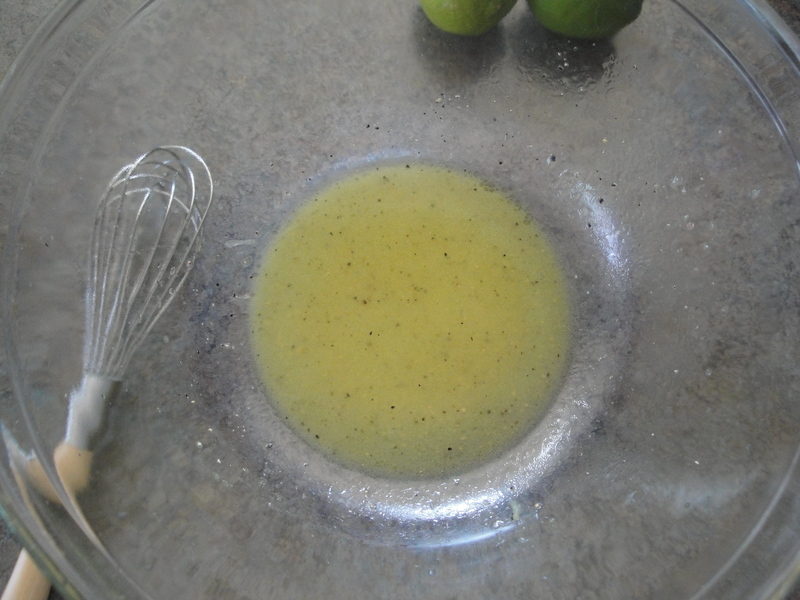 Combine lime juice, olive oil, salt, and pepper into a bowl. Whisk until well blended. 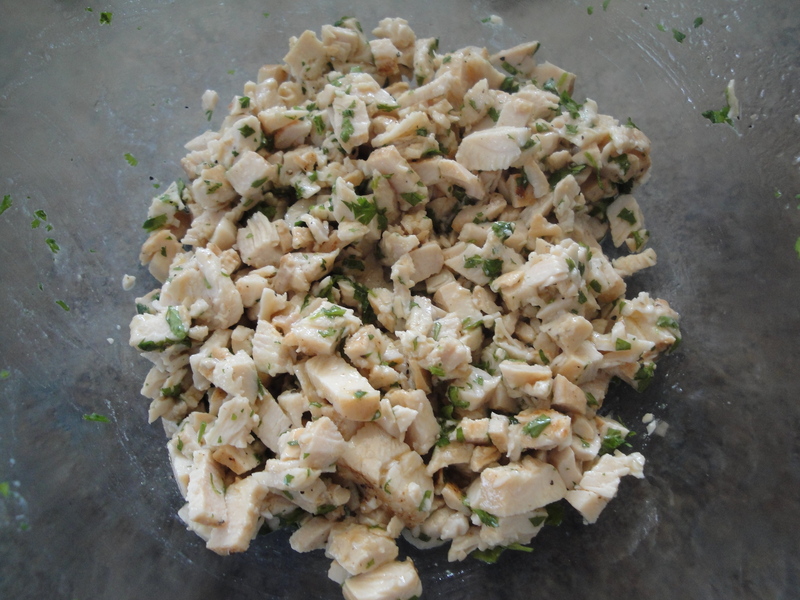 Add chicken and cilantro and combine. 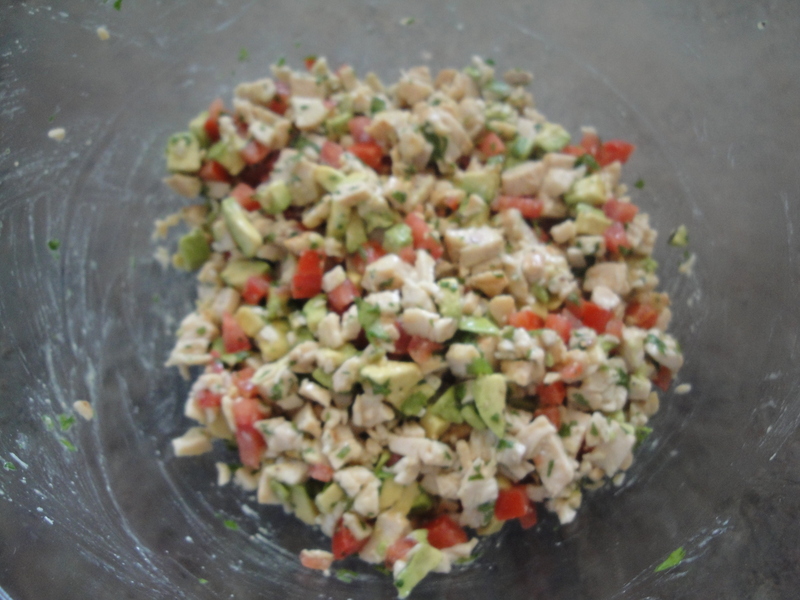 Add avocado and tomato (or salsa) and toss gently. Serve with chips, crackers, or over lettuce.